Are you the sole owner of your business? If so, you may be drowning in a sea of customer calls. Even if you have a staff of employees, you surely don’t want them to spend their entire day answering call after call. While you value having live interactions with your customers, this doesn’t necessarily mean that you need to hear from them twenty times in a row. This is especially true if you’re just answering questions that are already covered in your website FAQ. How many times can you answer the same questions over and over until you go mad? Luckily, there’s an easy solution. The best thing to do if you truly want to make the most of every hour you spend in your office is to get a handle on your incoming calls as soon as possible. To do this, you will need to make a decision concerning which calls you actually want to take versus which ones you would prefer to delegate to another party. And now comes the issue of just whom you would most like to delegate these calls to. 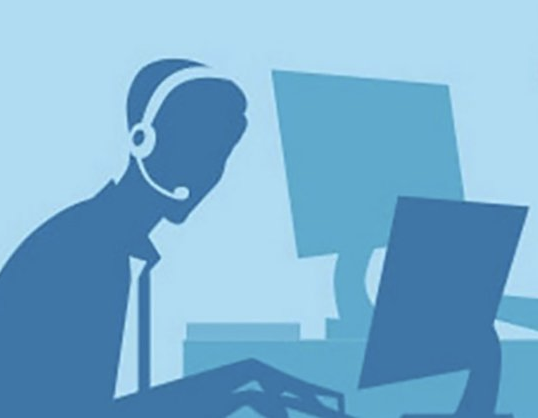 A professional provider of call center services would be the most logical candidate for the job. What are the Advantages of Handing Your Calls to a Third Party Service? You should be aware right off the bat that there are a very large number of perks that come with handing over your customer calls to a professional call center service. To begin with, you will be free to go about all of the daily activities that demand your immediate attention. Meanwhile, if you have employees working for you, they will also be able to handle all of the tasks you have delegated to them without having to stop every few minutes to answer a phone call. Outsourcing your calls lets you go about your business in peace. The best thing you can do to improve the efficiency of your office is to get off the phone. Of course, there will still be a certain number of calls, mostly personal in nature, that you will want to receive and then handle personally. But this is exactly why you bring your cell phone to work with you. The number of personal calls you will take in a day is minuscule compared to the number of customer calls you can expect to receive. This means that you will be able to avoid talking on the phone for hours at a time while a professional call service handles these calls on your behalf. The very best reason to outsource your calls to a professional third party call service is so that your customers can receive the best, most professional, and courteous response. Let’s face it, even though you may be an excellent business owner, you may not have the most patience. This is why it’s always best to let a trained and well paid pro handle customer calls. Your reputation for state of the art customer service will increase and become an essential part of your brand.